Know your flexible dentures, the restorative superstar! Flexible dentures are one of the most advanced restorative alternatives in the dentistry industry regarding prosthodontics. It can solve many oral health problems for patients that unfortunately are missing a tooth or several teeth. Many people believe that getting denture can be a little bit expensive but if you go to Los Algodones, you can save a lot of money if you decide to get your dentures don there. Now days in modern dentistry it exist many options like the removable partial dentures, proving to be a more flexible and more esthetically pleasing than the common dentures that everyone knows. 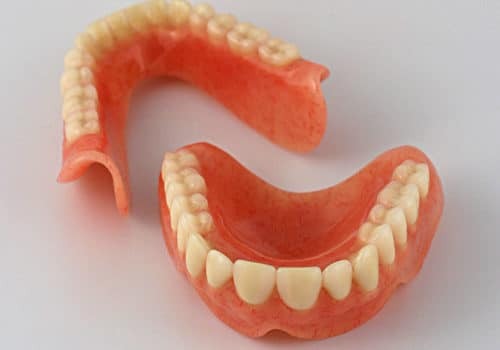 Partial dentures are a nice alternative for patients who inline more to wear a removable denture instead of a fixed restoration and more expensive solution like a dental bridge or dental implants. And now, flexible partial dentures can be custom made by a dentist if you provide them the exact specifications needed. Although you have to consider that the dentist has to be licensed for the job and then you can get a high quality denture. One of the advantages that come with dentures is that the procedure is almost noninvasive. The flexible partial dentures require a very easy preparation and you don’t need to alter your natural teeth in any way to get the treatment. In addition to this, the materials used to make the flexible partials blend with the tissue in a way that it will make your mouth look completely natural. Another plus is the inherent light weight and flexibility of the dentures which makes the adjustment period a piece of cake. 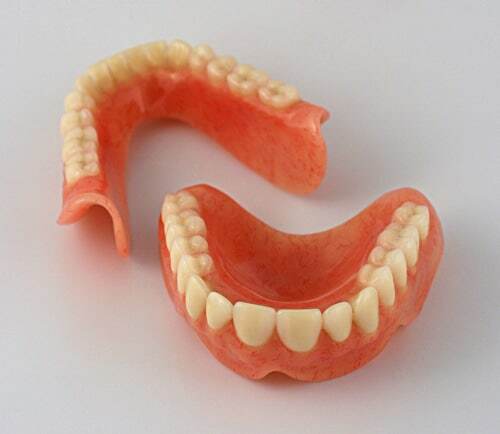 Most people who need them become accustomed to these new dentures in a couple of days, it is really amazing. But if you have never worn a denture before, don’t worry that much. You will need a little more time to adjust, but it won’t be long. In case you feel some irritation or any symptom, please don’t hesitate to contact your dentist as soon as possible to make the necessary adjustments. As we mentioned above, flexible dentures will not only improving the esthetic of the patient’s mouth, they will also improve the function greatly of the mouth. Flexible partials can be used even if the patient has one or more natural teeth remaining in the upper or lower jaw, meaning that extraction is not necessary to wear it. And because there are no metal clasps like bridges or implants, they are almost invisible and will blend right in with the natural color of the gums. This includs other tissues in your mouth so no one could tell the difference when you’re wearing it. 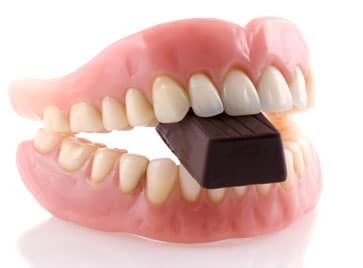 Speaking of improving the mouth functionality, flexible dentures can also help to improve your bite. This is amazing because you will relieve a lot of stress in the mouth when you are chewing and speaking. And if you have some kind of problem when doing the last two you will notice a great improvement too! There are many patients that cured their speech problems when they changed their old denture with a flexible one. Apart from this, denture can help patients prevent many oral diseases like gingivitis. Just remember to take good care of them and clean them pretty often. The more you treat them like real teeth the longer they can last in your life. One simple trick for example is to brush them at least twice a day to ensure they stay spotlessly clean. At night you should take a rest from your dentures. Try toleave them in a special cleaning liquid overnight to clean them from bacteria and germs. This way your flexible dentures will stay in top notch form and fresh like a lettuce.